Labor Day, as marking the end of summer, sort of bugs me, because it’s not the end of the summer, as a season. But I realize I’m fighting a losing battle here. And I am happy for the return of college football because it means, well, football, which I enjoy, but also, whenever the Buckeyes are playing is prime time to run errands, because no one will be on the roads. So I do love having Easton, or downtown, or the grocery, all to myself while Buckeye Nation watches football. knitting, of course. 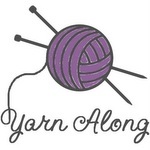 I ordered some yarn from Quince and Co. today, and am excited to work with it! The yarn will make up Christmas Scarf No. 3, as well as a longer scarf/wrap for me (two balls of yarn. I’m excited for this. ), and possibly Christmas Scarf No. 4. We’ll see. Also I want to make up a few bookmarks as part of the Christmas packages. Learning lines for And Then There Were None. We’ll have rehearsals over the weekend, and I want to start getting to the off-book stage. I’m only in one act, so I don’t have too terribly many lines, but I want to really get them down so I can focus on other things. Restocking the pantry, and cooking. This is part of my revamp: consistent meal planning and having healthy things around the house that are easy. Working out: ballet beautiful and walks. Also possible pool, before it closes. My pool is in my complex, and it closes at various and sundry times every year; sometimes it’s open until October! Reading some Jane, especially Persuasion. Sleeping in. That’s definitely happening. Along with restocking the pantry comes cleaning out the pantry and the fridge. For some reason I love to do this in the fall. Must be some sort of latent nesting instinct. This week, I finished this scarf, also a Christmas Gift! So Christmas Gift Scarf No. 2 is done! It’s the same yarn as I used here, except in Brocade. Same needles, too. And now I’m back to the bookmarks: this is Palette Yarn in Heathered Salsa, and it reminds me of the colors on the trees here in the fall. I really like working with it. I’m using size 5 Harmony Needles. 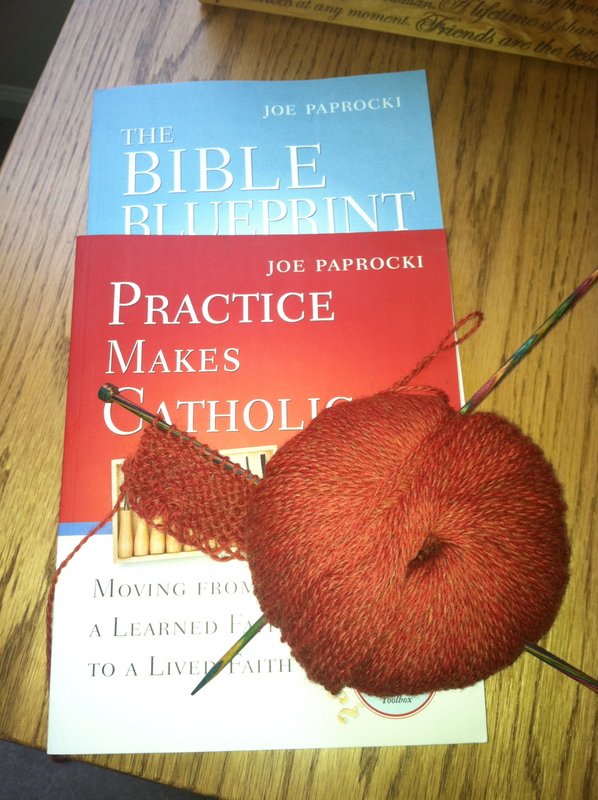 The books I’m reading are sort of CCD prep; one is because I’ve really started lectio in earnest, and any book about the bible is good for me; the other is sort of a “how to” tip book, at least thus far. Time for some updates, since I’ve been bad about them. Sorry! Life Revamping Goes on, and this is how it goes: I am definitely doing well in the “get up earlier” Sweeps. I’ve moved my get up time back 20 minutes, so 40 minutes to go until we hit the 6:30 goal time. The Kitchen needs major work–cleaning out the fridge, the cabinets, etc. 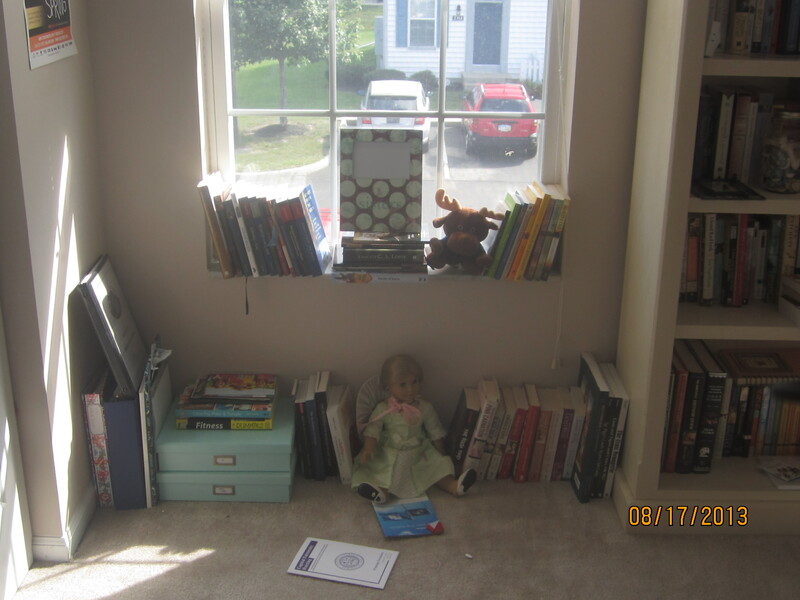 and reorganizing–so that’s next up in the house revamping. I’m currently using the Book of Job for my lectio and really enjoying it. (Enjoying Job. I know. I’m weird.) I chose Job because I’d started reading it during my retreat to Nashville, and then left it when I got home, so I’ve decided to finish it and move on from there in terms of what book of the bible to read. I read a chapter a day. (In Job, some of those chapters are really short, but even then, I only read one chapter. )I’m also working my way though a book called The Artist’s Rule, which is about monastic habits in the creative life. I’m also into rehearsals for And Then There Were None, which goes up in mid-October. I’m really enjoying working with such a fabulous cast and director, and bringing this character to life. I’ve modeled a lot of her on the White Rabbit from Alice In Wonderland, if that gives you any ideas. Last Friday we practiced the blocking for the end of Act I, where I have to faint, and I got a lovely bruise on my right leg from all the practiced falling (But I like it.) I really like the physicality of this character, how much she moves and how important putting the character in my body is here. One thing I recently read in an acting book is a lot of actors don’t act with their bodies–they only act with their faces. So I am consciously making an effort to act with my entire body–my fingers, hands, posture, feet, etc. CCD catechist retreat was last Sunday and it was a lot of fun! I’ll be co-teaching 26 first graders and I am so ready to go! Black maxi skirt and purple top, both from White House Black Market. Prayer Primer; Tips for Actors (I re-read this every time I do a straight play), the novel And Then There Were None. We did this and this over the weekend. Now on to deep cleaning the living room! Not sure this week. I know. I’m bad. Swimming, since it’ll be warm enough this week, and ballet beautiful. Christmas Scarf No. 2 in the works; learning my lines for And Then There Were None. Catechist retreat for the upcoming CCD year on Sunday. Possible rehearsals this weekend (I’m only in Act I, so I’m not sure what this weekend’s schedule looks like.) Parents coming over for dinner tomorrow. Last weekend I started rehearsals for Agatha Christie’s And Then There Were None, with Pickerington Community Theater. This is my first show with them and I am really excited! The play is based on Christie’s best-selling novel, but the ending is different, so be warned if you’re coming. 🙂 I play Mrs. Rodgers, the cook, who is accused, with her husband Tom Rodgers, of killing their former employer. I’m only in the first act, which is almost done being blocked. On Friday we had a table reading and we started blocking on the stage on Saturday. I’m having a lot of fun with this cast and this role, and I can’t wait to perform it! The show runs Oct. 18, 19, 20 and October 25, 26, 27 (Fri-Sunday). Fri-Sat. shows are at 8 PM, and Sunday shows at 2 PM. This is part of a series. To read the entire series, go here. My little sister, Mel, was here last night for some girl bonding. 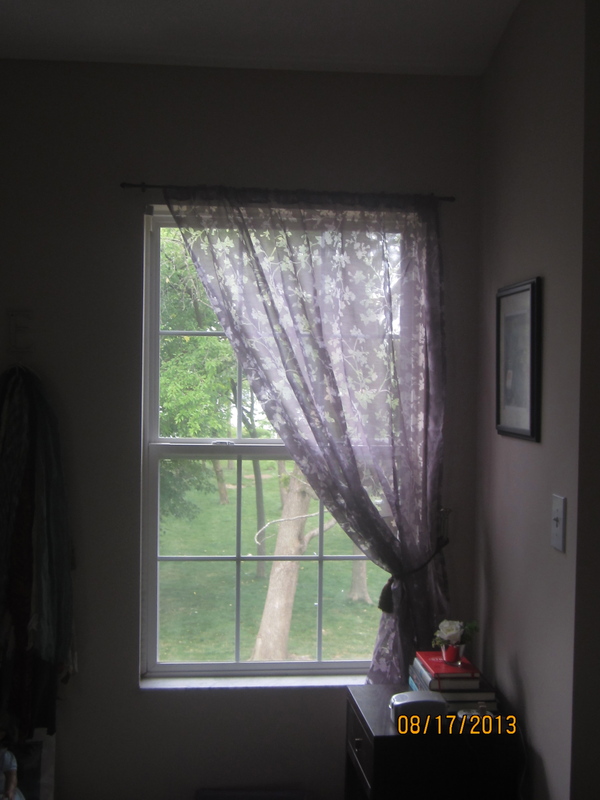 While we were munching on wings at BW3’s, the idea came up that we should run to Target and get curtains for my bedroom window, because I’ve been wanting curtains there for a long time. I sort of hate the whole rental place white blind window treatment thing, especially in my bedroom. And since there’s only one window in there, it would be less work and less money. That is, indeed, a lot better than just regular white blinds which are boring! So I thought, OK, we’re done. But then Mel said, why don’t we do the other bedroom? 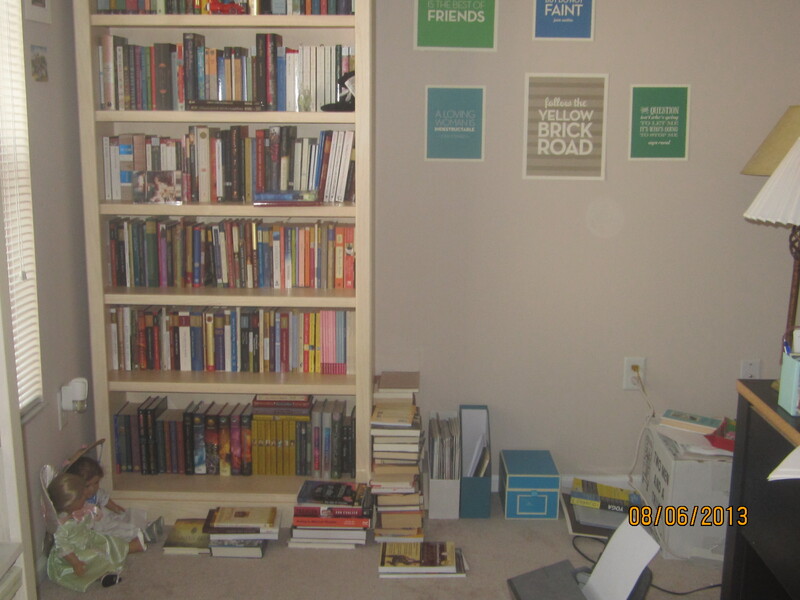 Now, my other bedroom–aka, the book room–had a bit of progress made. But there was a lot of stuff in there that needed done to bring it in line with my vision of the room. 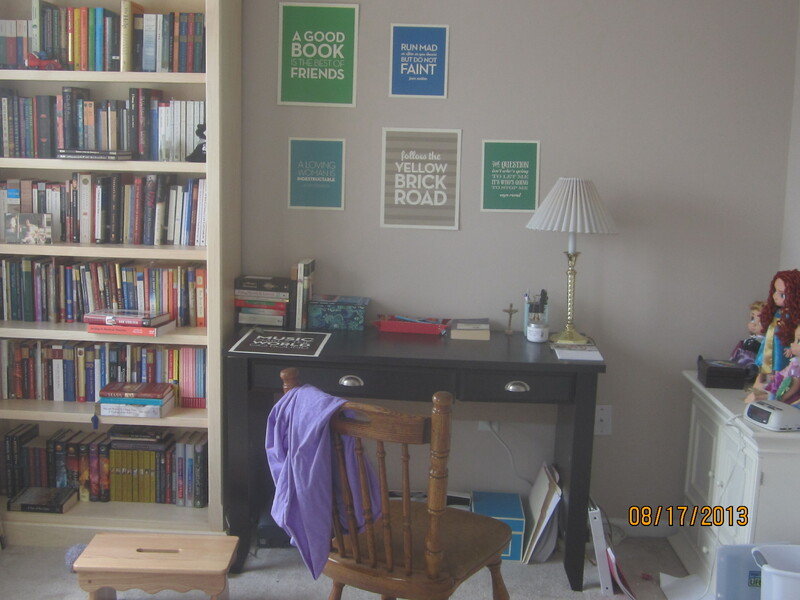 I wanted a couch, or at least a big comfy chair in there; I wanted it to be a cozy space where I could write and work. That wasn’t happening. But Mel, like a human tornado/Genevieve from Trading Spaces, took it on. For the next 90 minutes, we worked hard. First up was moving the desk from the center of the room to the right hand wall, which immediately freed up space for the other piece of furniture I wanted there. The next task: My piles of books. 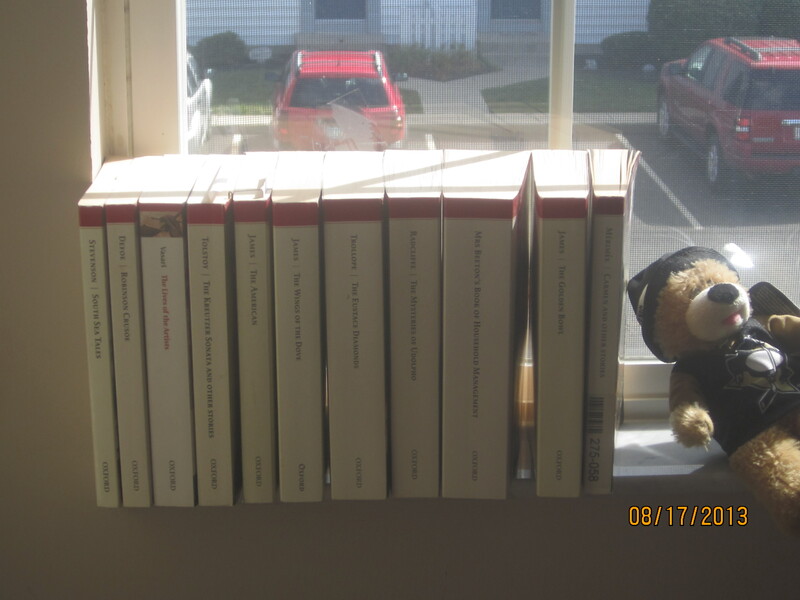 Melanie took them and arranged them on the windowsills, adding some of the hockey-related stuffed animals I’ve acquired over the years. Third, we tackled the Paper Monster. There were lots of piles of papers that needed dealt with. A lot of them just got trashed, but the rest found homes in now-empty binders. Also, we unpacked the last box from my move, found that I didn’t need the stuff in it, an used it to gather all the trash we were accumulating. 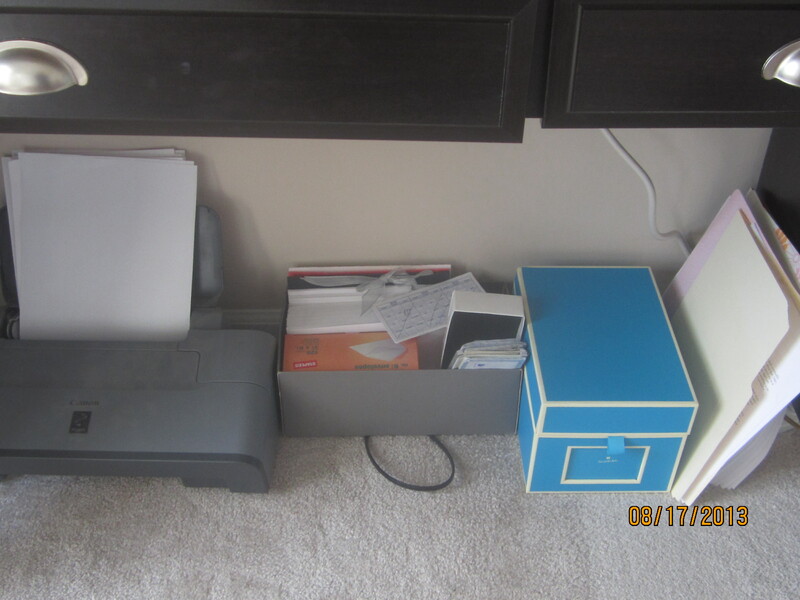 Under the desk, we put my printer, my box of photos, and a box of envelopes. The printer really shouldn’t be on the floor, but it’s the best we’ve got right now, and at least under the desk it’s somewhat protected. More books were also found for the HPB file. I’m really excited about what we did here, because now the room is organized, useful, and really pretty. Eventually I will have a big fat chair or a loveseat in here for reading, which will make me really happy, or even knitting.